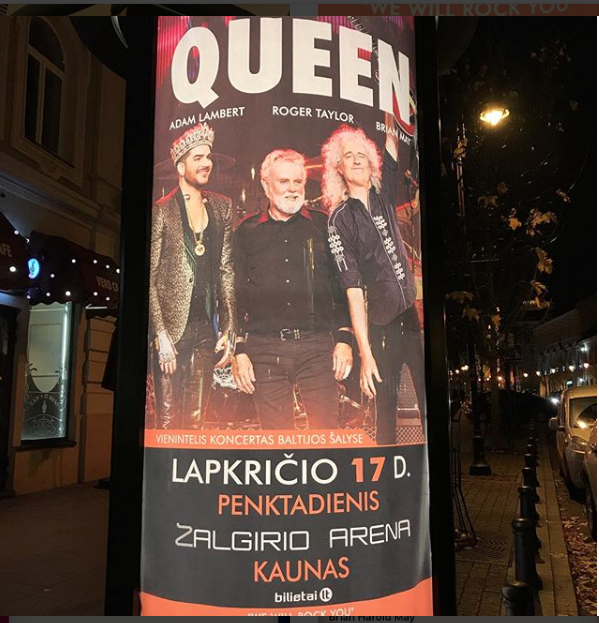 Dr. Brian May Instagram 3 Photos: Poster For QUEEN + Adam Lambert Concert "Lithuania! It's [A ]Date!" "Lithuania ! It's date ! Bri"
"Being present ! Bri. Photo by Agent Ashley"
"Look at this set list ! I think I have some learning to do !! Ha ha ! Yes - thank you - I am reliably informed that IR KITI HITAI is not a song I had forgotten, but means "and other hits" !!! So I may be OK. Our problem, of course, in the live situation is that we have Too Many Hits. This is an expression borrowed from the wonderful and sadly missed Artist who was once, formerly, known as Prince. It's a wonderful problem to have, but it does mean that we have to leave a lot of material out that people might want to hear. Still ... all opinion seems to be that this is the best production we've ever taken on tour - so all in all I am happy. Bri"
Haha...Love Bri's remarks. He has a great sense of humor, as does Roger...which is one more reason why they and Adam work so well together... they have fun! Love those postings! What a thrill to be walking down the street and see yourself so prominantly displayed.....in a good way! I wonder if they ever get used to it. I live streamed for awhile today & they sounded Great!! Missed most of the concert but managed to stream with the girls so I got to hear a good portion of the concert .. can't wait for the videos!! Next stream is Sunday ... hope I get to hear the whole concert from Helsinki ... Lithuania really loved them .. and why shouldn't they?? They are QUEEN + ADAM LAMBERT ... the Best on the Planet!! Got my dressing removed today .. cardiologist is having me take more tests after Christmas .. echocardiogram ... possible leak in my heart which may be part of the problem in my legs!! Not worried .. que sera sera ... it's out of my hands now ... there's a Higher Power at the wheel .. say a prayer Glam Sister ... I don't want to ruin everyone's holiday!! I'll keep you updated!! I love Brian's comments, too. I'm so glad I got to know him. Can't wait for the vids of Lithuania, too! Outlaw, glad to know you're doing ok! 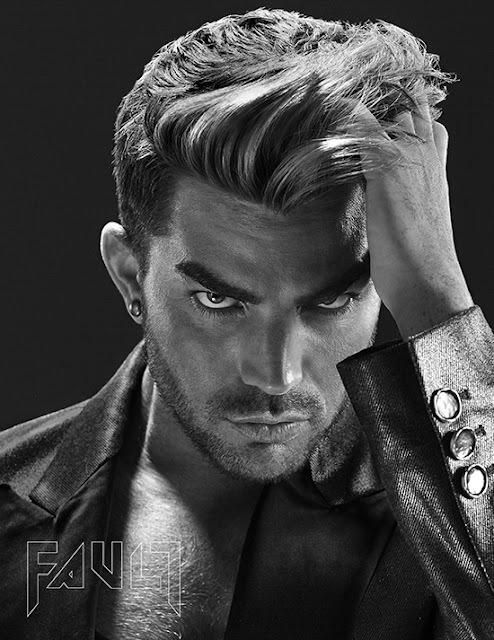 Lambert Outlaw...got my fingers crossed. If there's really a leak, I would think it can be repaired. Then you'd start feeling much better, wouldn't you? Why wait? It seems to me that a heart repair is a REALLY good Christmas present!.... for everyone! Absolutely love that poster of Brian, Roger & Adam. Glad things are looking up for you, Tess. 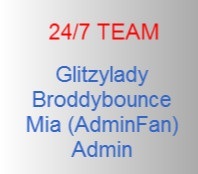 Thanx guys!! I have so many people in & out of my house I'm beginning to feel like some VIP .. yesterday was my first time out of the house (aside from the trip to & from the hospital) in almost a year!! It felt so good to breathe the fresh cold air into my lungs .. had a rough time getting into & out of the car but I DID IT!! Then I sat in the car while hubby got the wheel chair (another first for me)! Afterwards we made a side trip to Walmart .. again I sat in the car & waited .. didn't need the oxygen .. the air was glorious & I kinda fell asleep .. came home & listened to QAL live stream for awhile!! I actually feel like one of the crowd again!! Thank you all for your love & concern!! I'm gonna try to live stream Helsinki on Sunday if it's available!! Gotta be careful .. can't flail too much .. lol! !